I want to get the object color, when I start the game. How do I do this? Its actually simple. 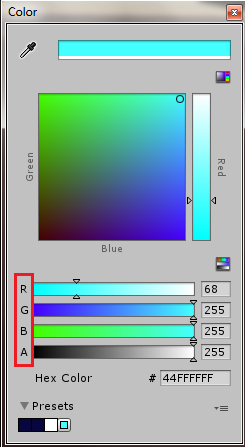 Just use Color32 class to get the r, b, g, a of your desired gameobject. Here is an Example Code. 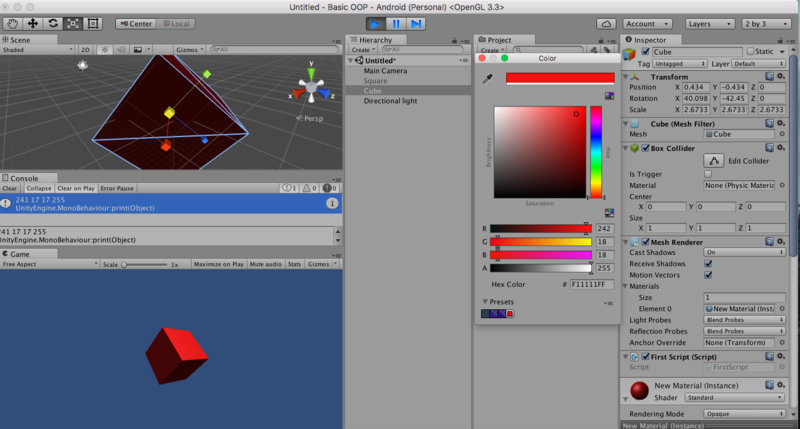 Here I used a cube gameobject and got the color of its material. Not the answer you're looking for? Browse other questions tagged unity color or ask your own question. How can zoom into my object when that object is being clicked? How can i add a material color to gameobject in script? How can I color/un color object that don't have renderer and material?